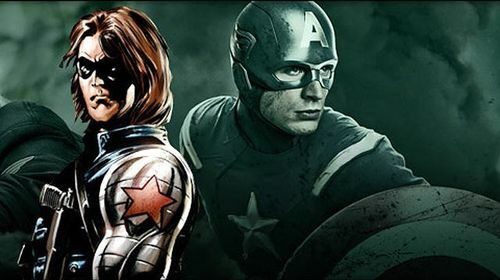 Bucky Barnes/ Winter Soldier is one of the most merciless super soldiers that sometimes even Captain America can’t handle alone. He was the best friend of Steve Rogers in Captain America: The First Avenger, they fought Nazis together in WW-II but then he turned rogue. He again became part of Team Cap in Civil War. After the successful launch of Captain America franchise, its sequel took it to the next level. It was more like an espionage thriller than a run-of-the-mill superhero outing. 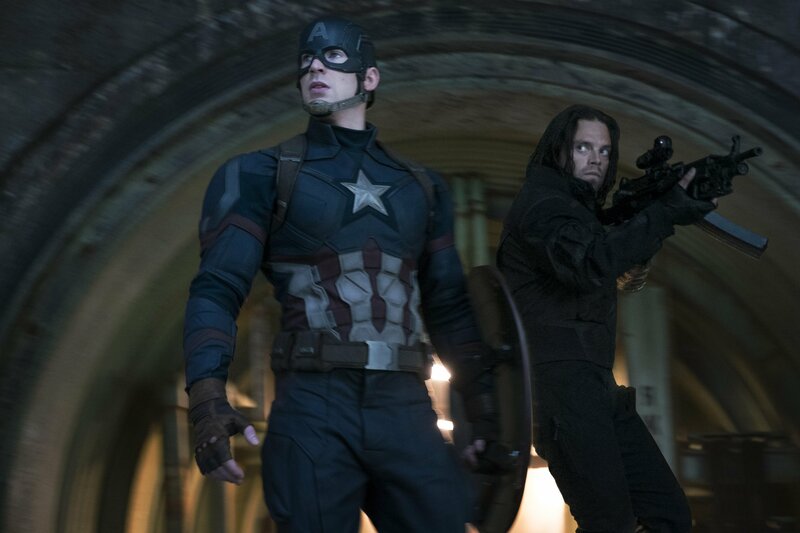 SHIELD was penetrated by HYDRA, and the Winter soldier was menacing as a villain. 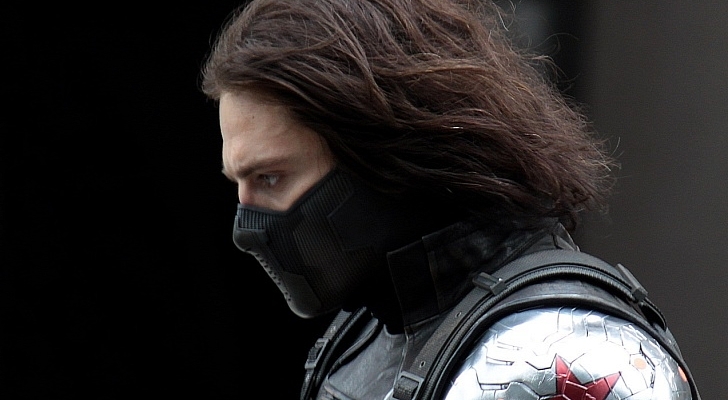 He was believed to be dead but it was revealed that he got resurrected years ago as Winter soldier. The movie was more of spy drama and superhero stuff rolled into one. 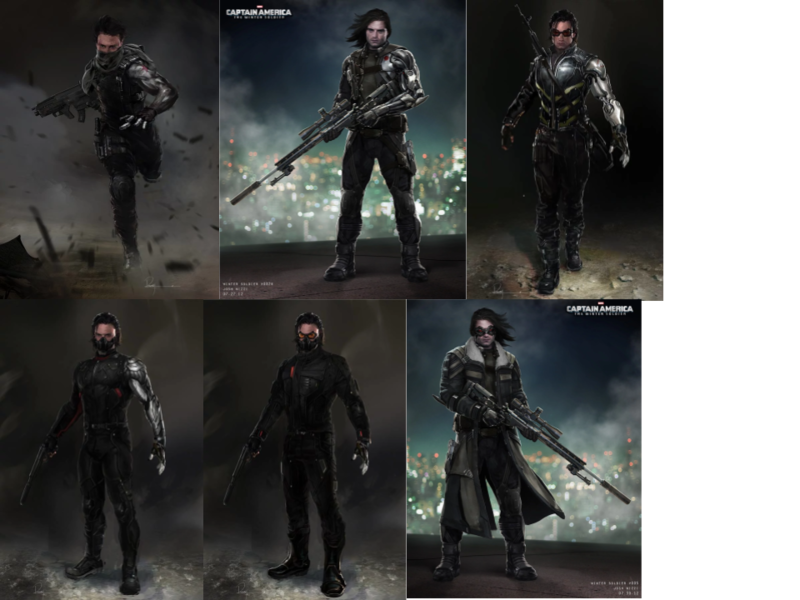 Over the years, the concept art and designs has shown evolution in the character of Winter Soldier. 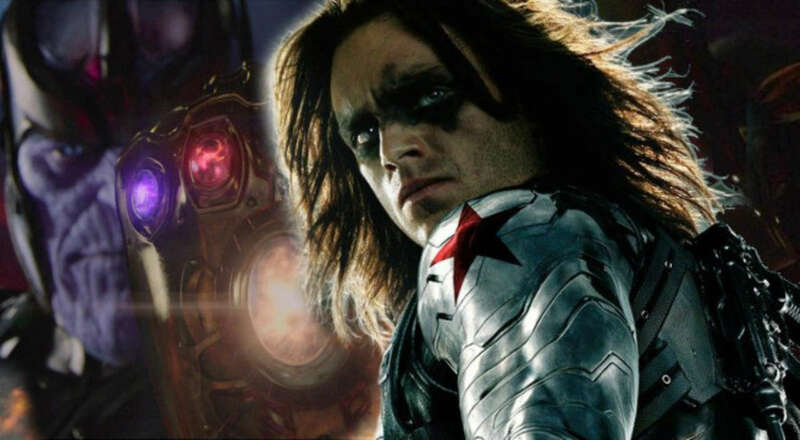 Recently, the artwork surfaced which was abandoned during the time of filming first Captain America movie, shows six different designs for Winter Soldier. The common thing about all designs is that he is wearing metallic bionic arm but specific design of the arm is totally different. He has a large sniper rifle and his facial mask is also different. In Civil War, we came to know that Bucky Barnes has been brainwashed by H.Y.D.R.A and would get activated when six words are spoken in proper order. Those words were Longing, Rusted, Seventeen, Daybreak, Furnace, Nine, Benign, Homecoming, One and Freight Car. In the end, he was put to cryo-sleep at a secret facility in Wakanda, the hometown of Black Panther. There was speculation that he would appear in Black Panther solo movie, but its confirmed that he won’t be coming. 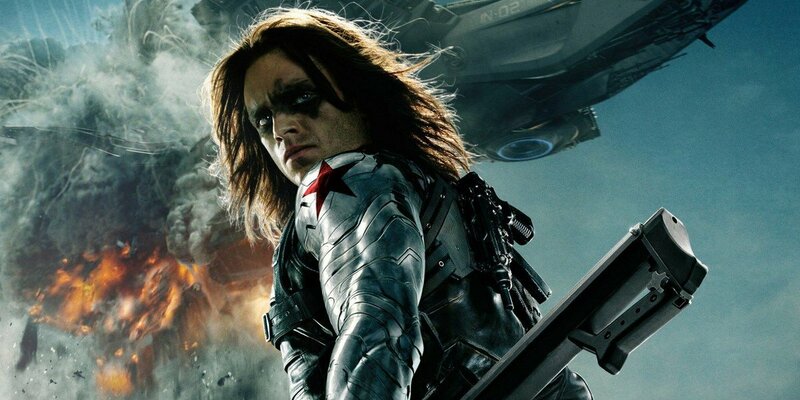 The next project of Sebastian Stan is Avengers Infinity War. The latest video has Sebastian Stan training for his upcoming role in Avengers: Infinity War. Stan had earlier undergone rigorous workout routine to get ready for his part of the Winter Soldier in 2014. The training he underwent was important for him to look at par with his former best friend, Steve Rogers/Captain America (Chris Evans). Stan, after that trained even more rigorously for his revival in Civil War in 2016. Well yes, when one is to battle the Mad Titan Thanos, one requires every hero as well as every anti-hero to be in their prime, else, they might fail in defending the galaxy and more may even perish at the hands of the mad titan. 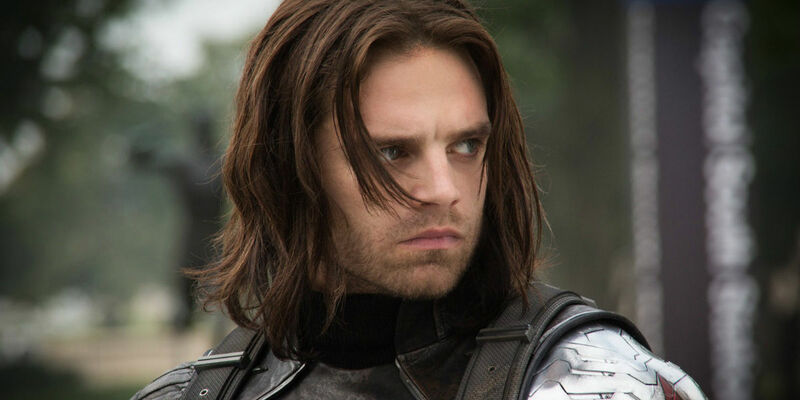 Sebastian Stan has signed a 9 movie deal and two Avengers movies will only take it to 4. Hence, he will survive the Infinity War. Moreover, he the best replacement for Captain America who will most certainly die in Infinity War. This new statement from Chris could mean that the journey of Steve Rogers/ Captain America would probably come to an end in Avengers 4, either he will be killed off or someone else (Winter Soldier) will don the mantle. CHEERS!